The 2016 Nobel Laureate discovered the mechanism of Autophagy, which is a fundamental process for humiliating and recycling cellular components. Yoshinori Ohsumi is a Biologist from Tokyo Institute of Technology. Yoshinori has been awarded the Nobel Prize in physiology or medicine for his discoveries of mechanisms for Autophagy. 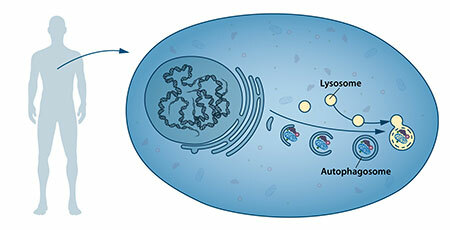 Autophagy is a process where a cell recycles of its own contents. The researchers and scientists are aware of Autophagy since the 1960s, but they knew little about how it works. While Ohsumi's revolutionary experiments with baker's yeast in the 1990s gave them the complete picture. The study on Autophagy has become important; as Autophagy can abolish invading intracellular bacteria, whereas disrupted Autophagy is linked to Parkinson's disease, this is type 2 diabetes and like other disorders which may particularly affect the elderly. The word autophagy originates from the Greek words auto which means self and phagein — to eat. Hence, Autophagy means self-eating. This concept came to be known since from the 1960's, when scientists first observed that a cell could destroy its own contents by enclosing it in layers, forming sack-like vesicles that were related to a recycling section, called the lysosome, for degradation. Thus there were difficulties in understanding and studying this phenomenon as very little was known until the series of brilliant experiments of Yoshinori’s came out in the early 1990's. 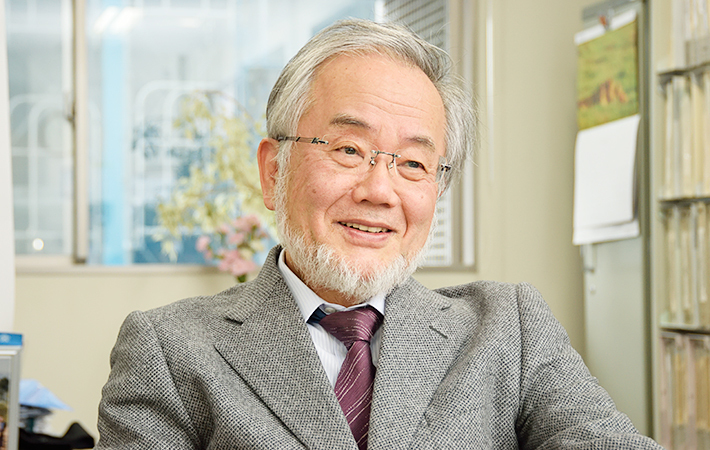 Yoshinori Ohsumi used baker's yeast to classify genes that are essential for Autophagy. He then went on to clarify the fundamental mechanisms of Autophagy in yeast and showed that similar machinery can be used in our cells. Ohsumi's experiments and discoveries led to a new prototype in everyone’s understanding on how the cell recycles its own contents. While the discovery of Autophagy has opened the path of understanding the fundamentals of Autophagy and its importance with the help of many physiological processes; such adaptation will strive to starvation or response to infection. However, the process of mutating Autophagy genes may cause disease, or the process will involve in quite a few conditions including cancer and neurological disease. During the period of the 1970's and 1980's the researchers focused on explaining other systems used to degrade proteins, specifically the "proteasome". The other researchers who were also awarded within this field are Aaron Ciechanover, Avram Hershko, and Irwin Rose; these researchers were awarded the 2004 Nobel Prize in Chemistry for the discovery of ubiquitin-mediated protein degradation. The proteasome efficiently degrades proteins slowly, and this mechanism did not tell how the cell will get rid in larger protein complexes and worn-out the organelles. Let us look the process of Autophagy and what were the mechanisms? Yoshinori Ohsumi stayed always active in various do research areas, but when he planned to lead his own lab in 1988, he started focusing on protein degradation methods in the vacuole, an organelle that corresponds to the lysosome in human cells. Through his discovery, he learned that Yeast cells are comparatively easy to study and as a result, they are often used as a model for human cells. These are mainly helpful for the identification of genes that are significant in difficult cellular pathways. However, Ohsumi faced the most important challenge in identifying the yeast cells which are small as their inner structures are not easily eminent in the microscope and hence he was unsure whether Autophagy still exists in this organism. Yoshinori reasoned that if he could reverse the degradation process in the vacuole while the process of Autophagy was active, then Autophagosomes may accumulate within the vacuole and turn out to be visible under the microscope. As a result; he then cultured mutated yeast lacking vacuolar degradation enzymes and simultaneously moved Autophagy by starving the cells. As we all know the result was striking; and in few hours the vacuoles were filled with small vesicles which had not been degraded. These vesicles are Autophagosomes, and Ohsumi's discovery proved that Autophagy exists in yeast cells. But even more significantly, now he had a method to categorize and characterize key genes caught up this process. However, this is a major breakthrough and you can see the results are published in 1992. After identifying Autophagy in yeast cells, Ohsumi took advantage of his engineered yeast strain in which Autophagosomes accumulated throughout starvation. This accumulation process should not arise if genes significant for Autophagy were inactivated. He then exposed the yeast cells into a chemical which randomly introduced mutations in many genes, and then he induced Autophagy. Thus, this strategy worked and within a year of his discovery of Autophagy in yeast, Yoshinori identified the first genes necessary for Autophagy. Soon after identifying the machinery for Autophagy in yeast, a key question raised; was there any corresponding mechanism to manage this process with the help of any other organisms? When it became clear that virtually identification of mechanisms operates in our own cells; the research tools required to investigate further on the importance of Autophagy in humans was now available. We have to thank the great researchers like Ohsumi and others; who helped us to understand how Autophagy controls vital physiological functions of cellular components that need to be degraded and recycled. While Autophagy can quickly provide fuel for energy and building blocks for regeneration of cellular components and it is, therefore, essential for the cellular reaction to starvation and other types of stress. The experiments proved that after infection, Autophagy can get rid of invading intracellular bacteria and viruses; and contributes to embryo progress and cell separation. Cells also use Autophagy to eradicate the damaged proteins and organelles, a quality control method that are serious for counteracting the negative consequences of aging.